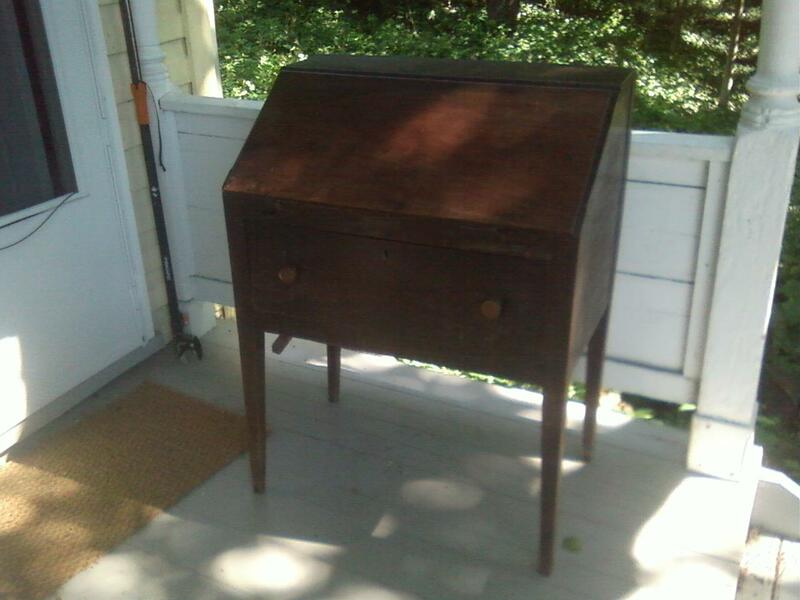 The writing desk pictured below is currently for sale. The piece is a slant front writing desk made form Walnut with Poplar and Pine as secondary woods. 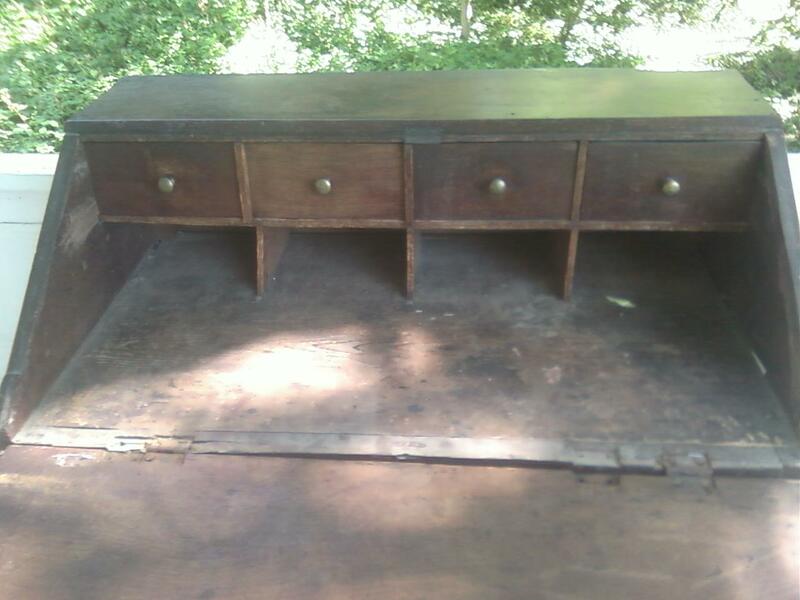 The desk dates to around 1820 and comes from a house in Bunker Hill, Virginia, where it is believed to have spent most of its life. The desk has a solid Black Walnut writing surface which opens and is supported by tow pull ot desk supports. 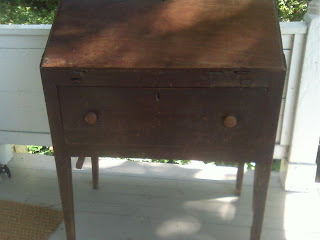 inside are four cubbie drawers with brass pulls and corresponding holes below. 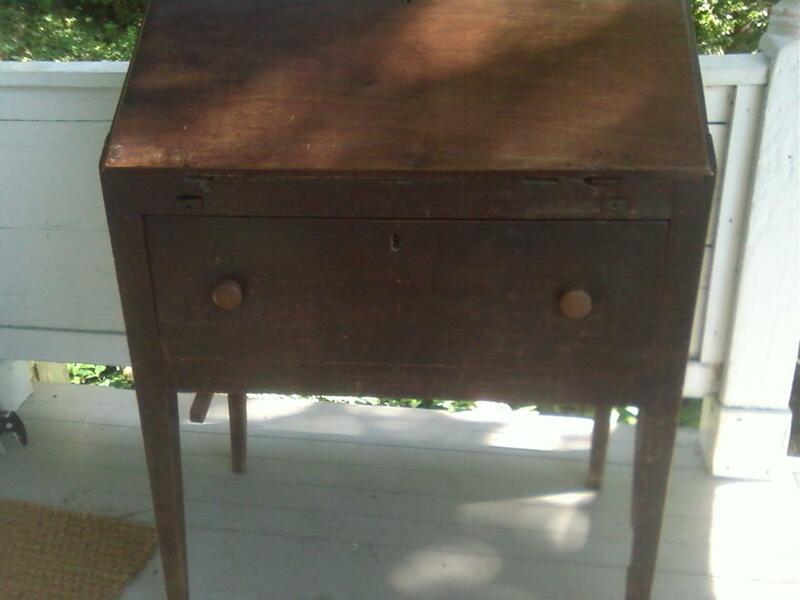 Below the writing surface is one large drawer with wooden pulls. All of this sits on tapered legs. This is a fine local piece. It is in need of restoration but restored would have real value, especially locally. You can click on the image to view it in larger dimensions. 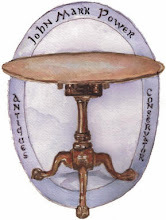 If you are interested in purchasing this desk please contact me at (703) 727-5691 0r at info@johnmarkpower.com.